Sarsala Bay is large and consists of a number of coves, especially along the southern side, for yachts to anchor with a long line ashore. One of the most idyllic is Pilloried Cove in the southwest corner of the bay. There lies an old shipwreck, good for snorkeling. Anchoring is possible in any of the coves, depending on conditions, but you will be dropping in at least 15 metres. The bottom is mostly sand, rock and stones and the holding is not reliable. Take care to make sure you are secure. At the centre cove, mooring on the restaurant jetty is possible where there is space for 20-30 yachts in depths of 4 metres on laid moorings. Restaurant staff will help moor, taking lines to steel rings nailed to the planking of the jetty (so perhaps not a good place to be in unsettled weather). The shelter in Sarsala Bay is good from all directions except NE. In the prevailing W/NW winds, however, gusts will be experienced from both sides. There is also occasional swell from passing gulets heading for the beach at the northern end of the bay. Skopea Limani is a large, mostly enclosed gulf that lies seven miles SW of Göcek and 11 miles west of Fethiye. It is bordered on the west side by the Kapidaği Peninsula and on the east by the islands of Domuz and Tersane. It is one of the most beautiful cruising areas in Turkey, with numerous sheltered coves ringed with pines. Several have established restaurants, complete with simple wooden jetties and laid moorings. The whole area is hugely popular with private yachts and gulets. There are dozens of anchorages around the gulf and regular visitors have their own favorites. All anchorages share the same characteristic of being quite deep until close inshore, and you will often be dropping anchor in 15–20 metres to take lines ashore. Skopea Limani is, therefore. not a place to visit with less than at least 50–60 metres of anchor chain. Holding is mostly good in sand with some mud and rocks. The gulf is very sheltered in most weather and the anchorages are little affected by conditions in the wider sea area. However, gusts will be experienced in most of them when the winds are strong. The centre of the gulf in such conditions gives some exhilarating sailing in flat water and is often used as a race venue by the local yacht clubs. Skopea Limani is perhaps the most-sailed area of Turkey. It is critical that all visitors treat it with respect to avoid the stringent restrictions that are threatened by the authorities. 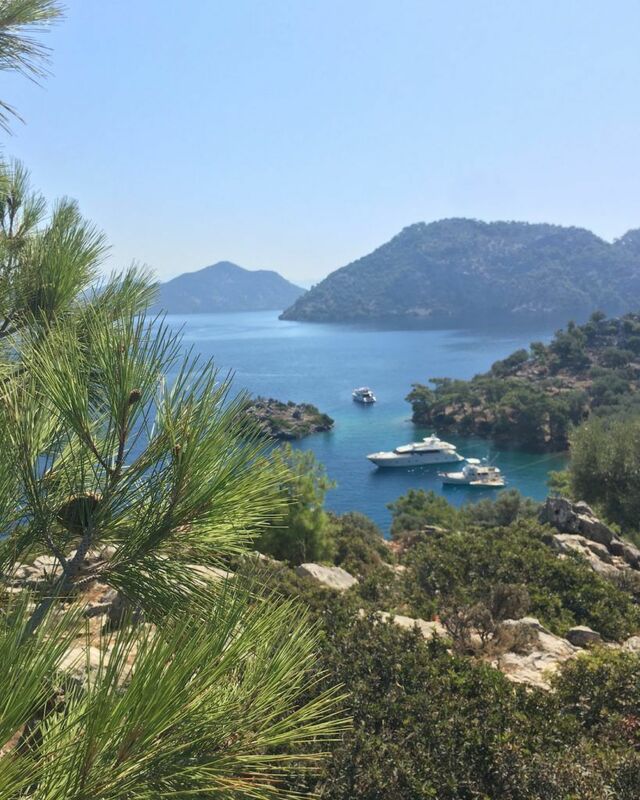 The Blue Lagoon at Ölüdeniz was once one of Turkey’s most beautiful anchorages but is now closed to yachts forever due to mistreatment of the land and sea. All yachtsmen should be vigilant to ensure the same thing doesn’t happen to Skopea Limani. 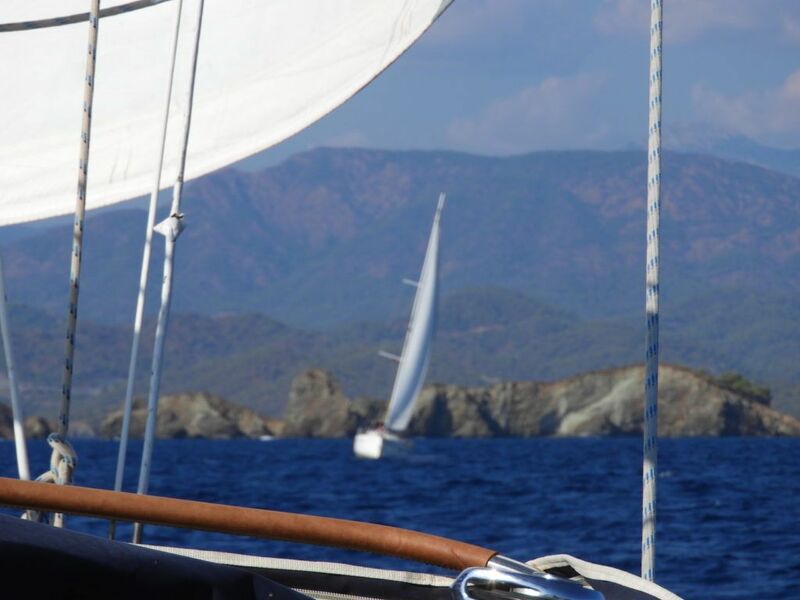 Turkkey’s Turquoise Coast boasts a very large sailing area. With Göcek as a home port, you can sail as much or as little as you like. 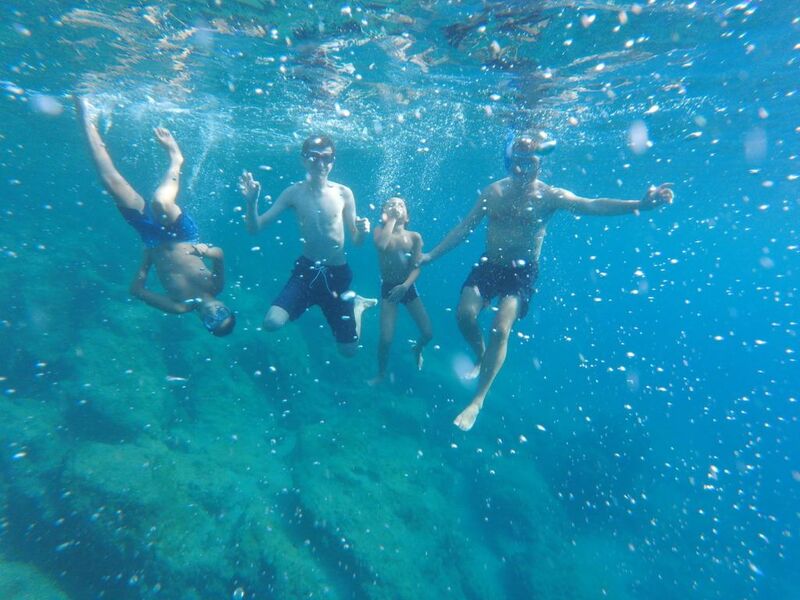 Whether going NW to Marmaris, SE to Kalkan/Kaş or simply enjoying the many coves in the bays of Göcek and Fethiye, any plan can make an interesting and adventurous sailing holiday. Our itineraries are for one and two week sails. In total, nearly 30 locations have been selected – towns to coves, sophisticated to rustic. A brief summary of each port is accessible through links on the itineraries pages. They are all beautiful and interesting places. We think you will have as difficult a time making selections as we did. Itineraries were developed to provide an active sailing plan involving staying in a different port each night. For a more relaxed schedule, any number of ports can easily be eliminated in order to remain in a location of choice for multiple nights. 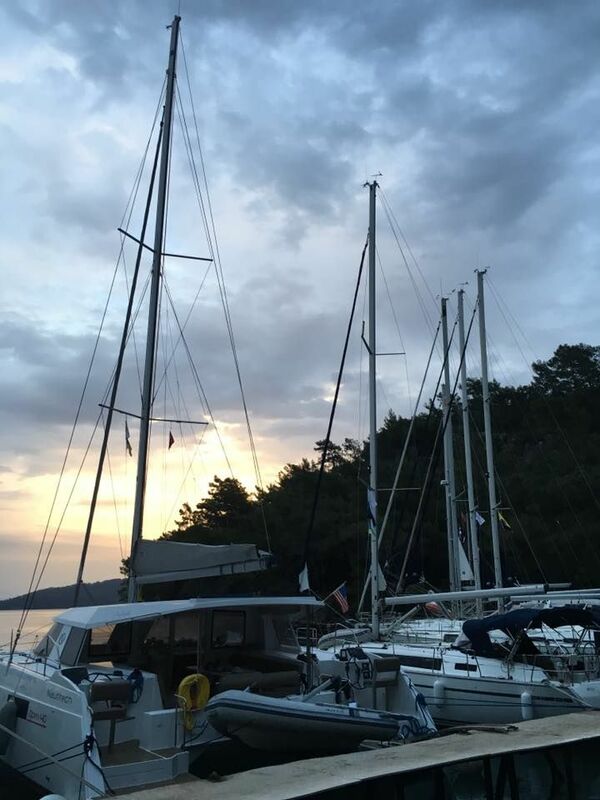 The exception is the last night in Göcek due to the need to return the yacht the following morning. Further, many of the stops in the Skopea Limani and Kekova Roads are very close together and, therefore, interchangeable. The itineraries were designed to be a guide – the choices are all yours. For more information on The Skopea Limani, click here. For more information on The Kekova Roads, click here. 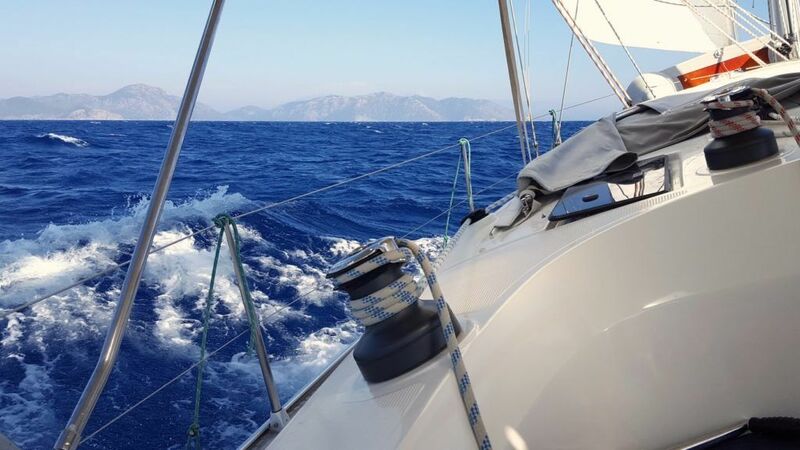 Moving NW toward Marmaris, a sailing plan covering 120 nautical miles can be easily achieved. 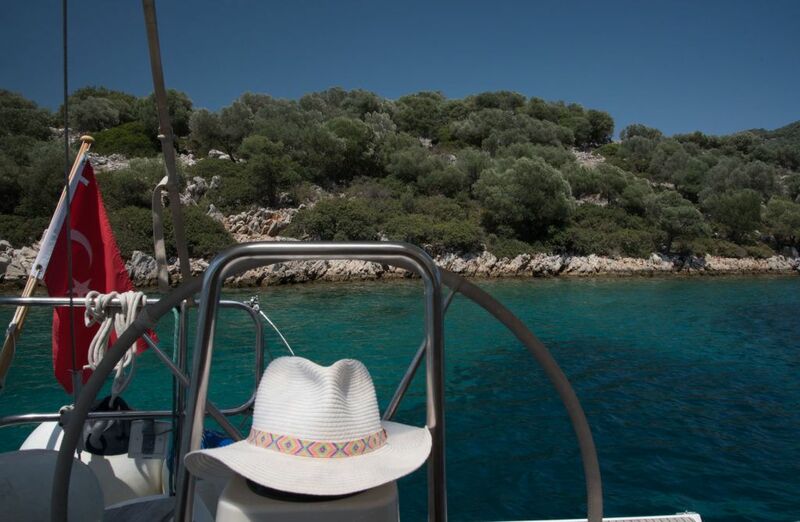 If the ports to the SE are more to your liking and a more aggressive itinerary is desired, 135-175 nautical miles will take you to the SE toward Kalkan/Kaş/The Kekova Roads and back. Alternatively, a more leisurely sail in Skopea Limani, Göcek Bay and to the Fethiye area provide a 70 nautical mile sail plan. For more information on one week itineraries and port descriptions, click here. Our two week itineraries extend NW beyond Marmaris to the Hisarönü Peninsula and Datça for a total of 220-240 nautical miles, a sail SE down to Kalkan/Kaş and beyond to the stunning and unique Kekova Roads area covers 195-210 nautical miles and a more leisurely plan in the vicinity closer to the home port and Fethiye takes you 180 nautical miles. For more information on two week itineraries and port descriptions, click here. 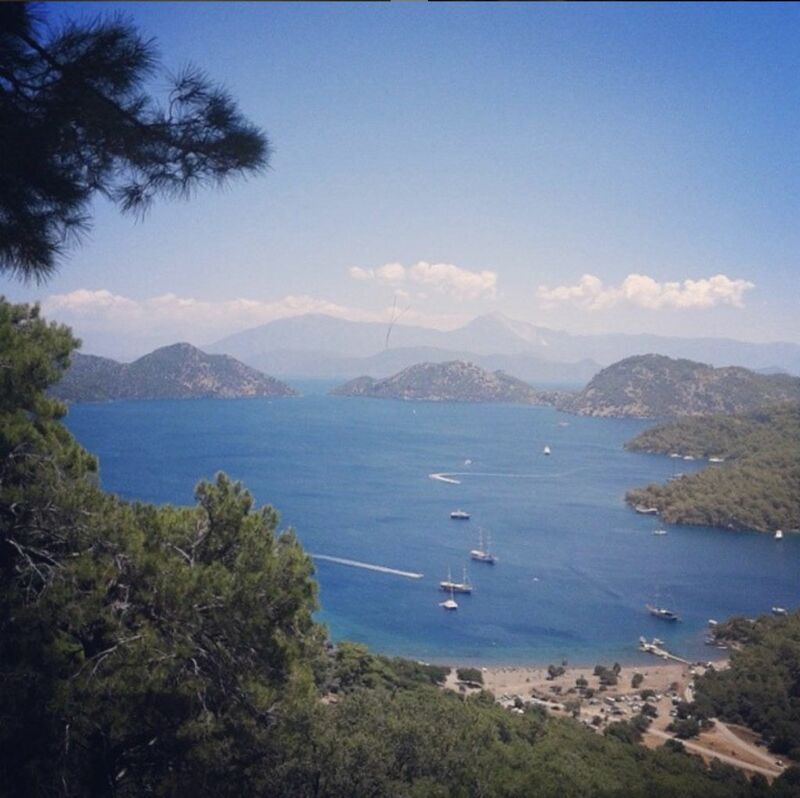 Our home base of Göcek is easily accessible via Dalaman Airport, just 25 kilometres and 20-30 minutes away. 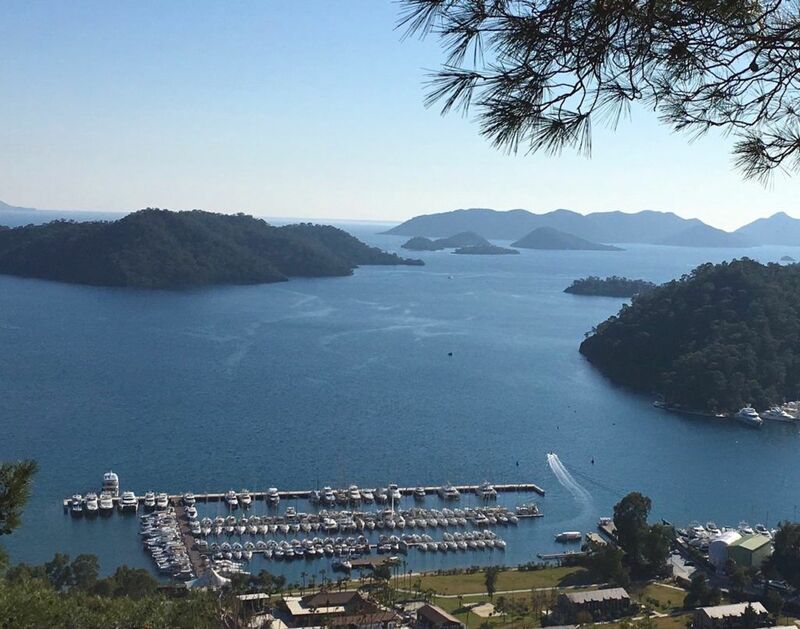 With six world-class marinas, the berthing capacity in Göcek has surpassed 850. It is the home of Turkey’s oldest marina, its only natural marina and a well-known megayacht facility. The town’s pretty waterfront is a tasteful and comprehensive mix of service establishments. 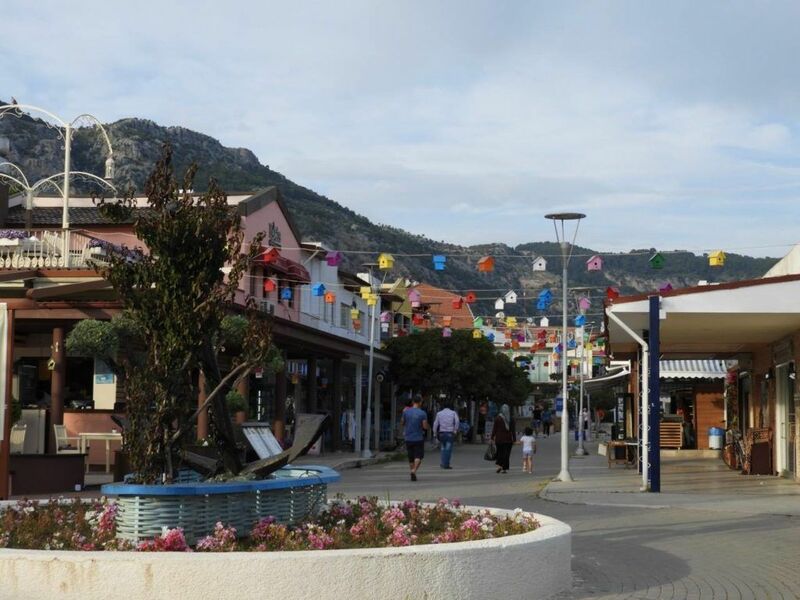 It is a famous yachting centre – one not to be missed. In the summer, the average maximum temperature is 38 °C (100 °F). The sun shines over 300 days per year. Because of the climate, Göcek is renowned for growing wonderful tangerines, lemons and oranges. 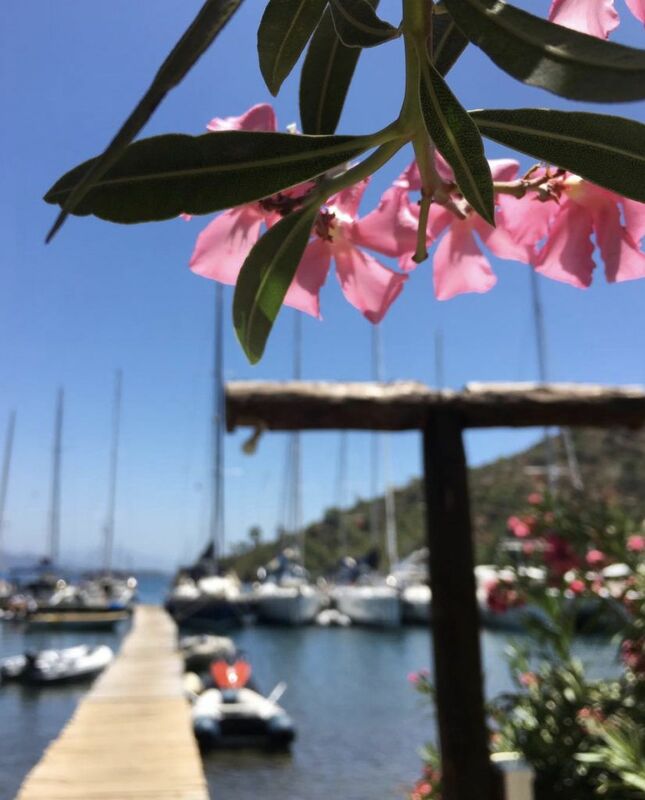 The port is lively during the sailing season of April to November, culminating in a number of popular sailing events like the Bodrum Cup and Marmaris Regatta. The people in Göcek are welcoming, as they are all along the coast. Turkish food is tasty and prepared from the best local meat, fish and seasonal vegetables. Their casseroles are splendid, traditional mezzes are numerous and ever-changing, Turkish pizzas (pides) are a delightful change from the Western version and their legendary kebabs are always delicious. Göcek has some of the best food you can find along the coast, both Turkish and international cuisines. It has a plethora of eating establishments, some very stylish and well known. Many look out over the harbour and a “see and be seen” promenade. It is perfect for a stroll and some interesting people watching. After all, you need to keep your eyes open because you never know who might have just pulled in on their megayacht. For more information on the sailing area and suggested itineraries, click here. Turkey enjoys a magical, warm summer climate with clear, blue skies and predictable, reliable winds. Sailing in the warm, turquoise waters of southern Turkey and the eastern Aegean means enjoying pretty, local harbours, first-class marinas, idyllic anchorages, a scattering of islands and some of the most picturesque, world-famous beaches known to sailing itineraries – all set against the spectacular backdrop of the Taurus Mountains. Our home base marina and the adjacent sailing area lies in a protected marine reserve, guaranteeing the cleanest water in the Med. The world-famous Skopea Limani provides a number of beautiful anchorages and a perfect venue close to home from which to start or conclude your sailing itinerary. From there, your sailing plan can follow our suggestions or can be tailored to make your own dream come true. Click here for more information on our Home Port. Click here for more information on the Sailing Area. Click here for more information on The Skopea Limani. Click here for suggested One Week Sailing Itineraries. Click here for more information on Two Week Sailing Itineraries.